After selecting the right college with a degree program designed to put you on the right track for meeting your future career goals, you will need to explore the financial aid options that apply to your specific situation. Those who choose to attend a Christian college are often curious about the options available for helping them fund their degree. While the options that are available may vary according to your specific school, here are the top options from which most students can choose to ensure college is affordable. Most schools participate in federal programs that offer loans and grants to undergraduate students. The Federal Pell grant is one type of financial aid option that does not need to be paid back after graduation. There are also several loans that are available with which students may apply for with the understanding they will need to either pay them in full or make monthly payments after they graduate. According to the U.S. Department of Education, any federal assistance is only granted to those who demonstrate financial need and who maintain satisfactory progress in their chosen degree program. 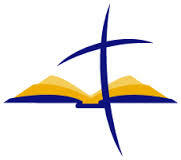 Many Christian colleges and private organizations offer scholarships to students who demonstrate financial need. Some of these come with stipulations such as exceptional academic scores or participation in a certain field of study. The financial aid office at your school should have a list of available scholarships along with the steps you need to take to complete the application process. Students who have a strong relationship with their church or another private organization may be eligible for special grants and scholarships offered for their members. Often, these organizations seek to develop their congregations and members through providing educational opportunities that will encourage students to repay the financial aid with the skills they learn at school. Although these grants may be small, they can be used along with other financial aid options to help a student complete their education debt-free. Those who do not qualify for federal grants and loans may need to explore the options that exist from private lenders. Generally, private loans carry an interest rate that is based upon either the student’s or their parent’s credit and financial standing. After graduation, these loans must be repaid according to the schedule outlined in the loan agreement. The federal government and the school you select may offer special work-study programs that allow you to pay for your education by working part-time. During a work-study program you may work either on or off-campus performing duties that are related to your selected degree program. Students often find that this arrangement offers an excellent way to gain experience in their field while also helping them to graduate with little debt to repay. Today, students are able to enjoy a diverse range of financial options that can be used alone or along with others to help them complete their education. If you are planning to attend a Christian college, then you may still be eligible for federal grants and loans provided your college is accredited and recognized by the federal government. In addition to this, be sure to visit your school’s financial aid office to find out about other organizations and programs that are available for your specific school or program. This way, you can enroll in your program of study while knowing your books and tuition are covered.